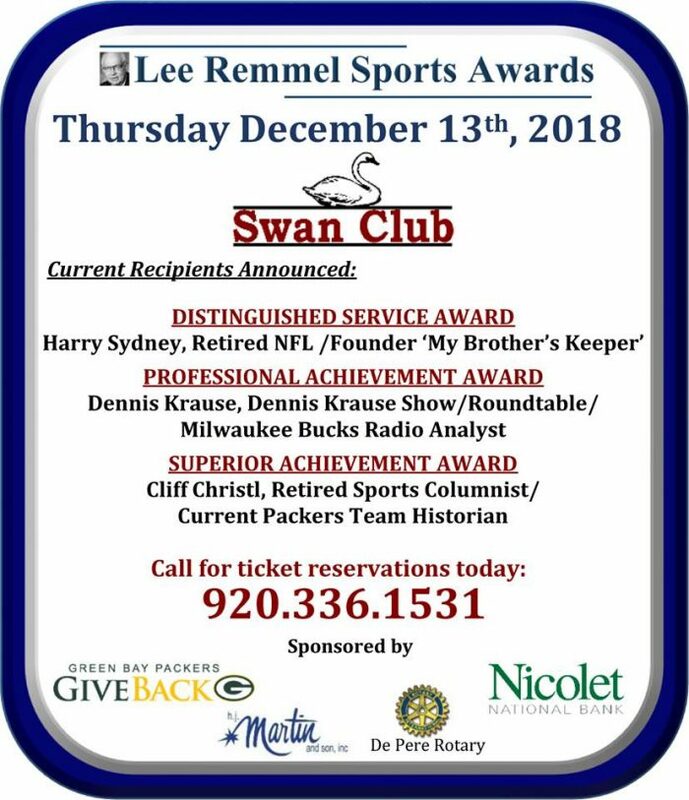 The DePere Rotary Club is excited to present the Lee Remmel Sports Awards Banquet on Thursday, December 13th at the Swan Club in DePere, Wisconsin. The Lee Remmel Sports Awards are presented to individuals in professional, collegiate, prep, superior achievement and distinguished service categories. our very own Harry Sydney! If you are interested in attending this event, you may download a reservation sheet for ticket purchase here.